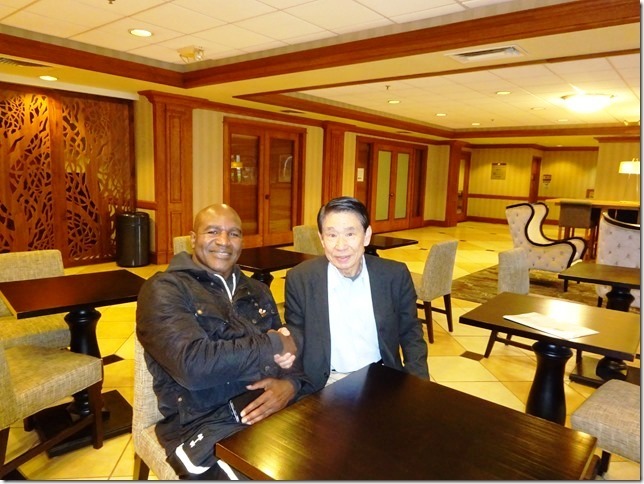 This reporter flew to Louisville from Tokyo, Japan, since I introduced Baishanbo to the tourney because of my friendship with Holy and his right-hand man Eric Bentley who has dealt with a great deal of the invitational tourney. We look forward to watching international competitions each for ten rounds by the participants from US, UK, Europe (Germany), Latin America (Dominican Republic), Africa (Ghana) and Asia (China). 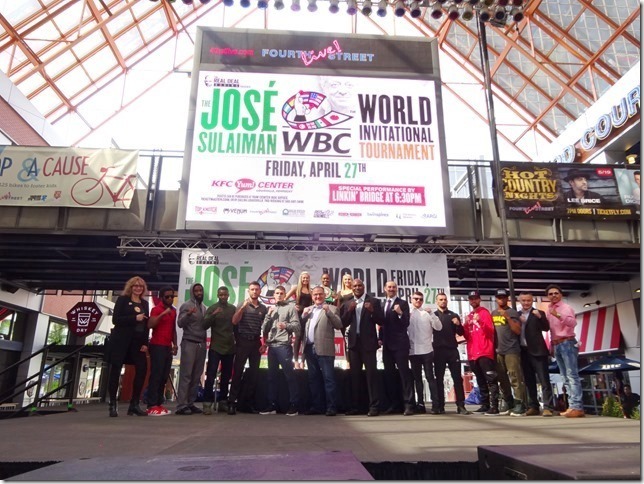 The humble Holy politely said at the press conference yesterday at the 4th Street Live, “We really expect good competitive fights at the birth place of Muhammad Ali, whose footsteps these youngsters will try to follow thanks to the cooperation of people in Louisville.” The first round of the tourney will take place at the KFC Yum! Center the capacity of which is reportedly more than 20,000. We wish the first round of Holy’s project and the second may take place with a bigger scale either in US or in China. It may truly become a real deal.